European Reference Networks (ERN) are virtual networks involving Reference Centres across Europe. They aim to tackle complex or rare diseases and conditions, that require highly specialised treatment and concentrated knowledge and resources. 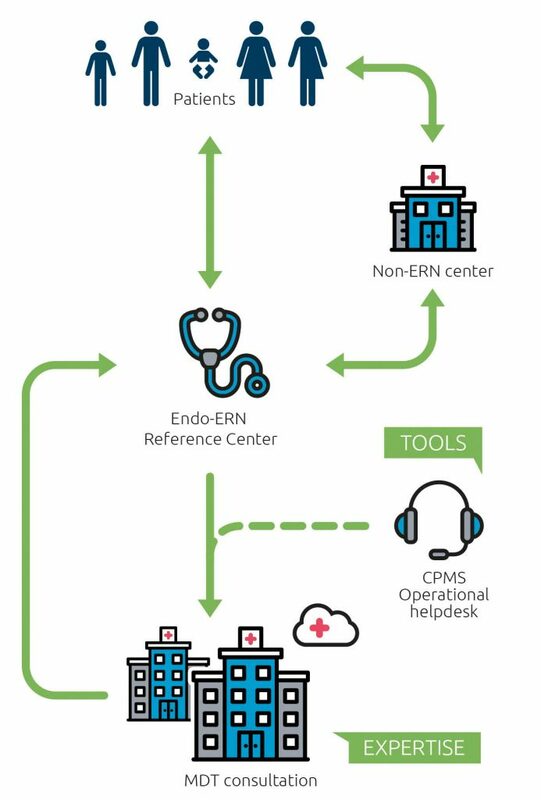 Rare patient cases can be discussed by a ‘virtual’ advisory board of medical specialists across different countries and disciplines in a dedicated and secure IT platform, constructed by the EU Commission specifically for ERNs. This way it is the medical knowledge and expertise that travel rather than the patients, who have the comfort of staying in their supportive home environments. Between 6.000 and 8.000 rare diseases affect or will affect an estimated 30 million people in the European Union. Many of these rare diseases cause chronic pain and suffering, and a number of them can be life-threatening. The negative impact on the quality of life of affected patients, many of whom are children, is significant. An unfortunate feature of rare diseases and complex conditions is the scarcity and fragmentation of specialist knowledge, which is often not available in the patient’s region or country. Many patients therefore do not find a satisfactory explanation for their symptoms or the necessary knowledge on treatment options. Consequently, many patients and their families rely on the internet to search for doctors and Reference Centre with the expertise to give them the best possible chance of survival. By consolidating knowledge and expertise scattered across countries, the ERNs will give Reference Centres access to a much larger pool of expertise. This will result in better chances for patients to receive an accurate diagnosis and advice on the best treatment for their specific condition. ERNs are not directly accessible to individual patients. However, with the patients’ consent and in accordance with the rules of their national health system, patient cases can be referred to the relevant ERN member in their country by their Reference Centre. 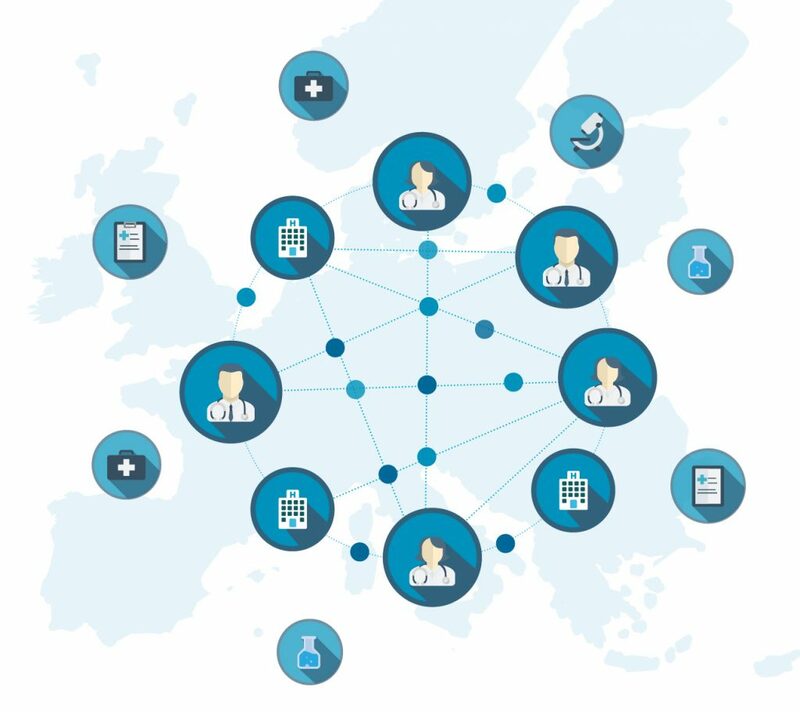 Working together with Member States, the medical community and patient organisations, the Commission has taken a leading role to develop this unique ERN model: for the first time in healthcare, a formal structure of voluntary collaboration between Reference Centres across the EU has been created for the direct benefit of the patient. The first wave of ERNs already covers the majority of disease groups, including bone disorders, haematological diseases, childhood cancer and immunodeficiency. ERNs are being set up under the 2011 Directive on patients’ rights in cross-border healthcare. This Directive also makes it easier for patients to access information on healthcare and thus increase their treatment options. Adequate patient representation and coverage of all Main Thematic Groups, and preferably also of the Work-Packages across all member states is top-priority for Endo-ERN. The first ERNs will be up and running in 2017. Further calls for new Reference Centres to join the existing Networks, as well as calls for new ERNs, will follow. 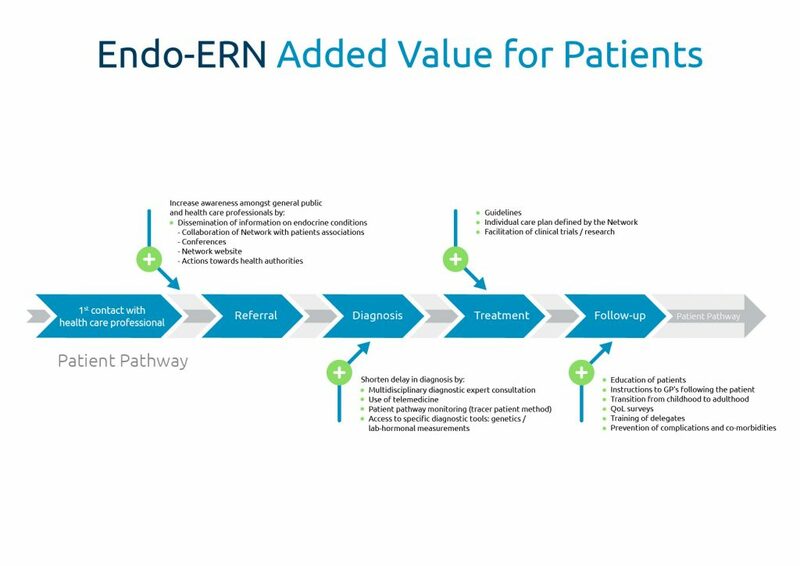 Over the next five years, as the ERNs reach full capacity, thousands of EU patients suffering from a rare or complex condition can expect to benefit.